This street was named for Brig. 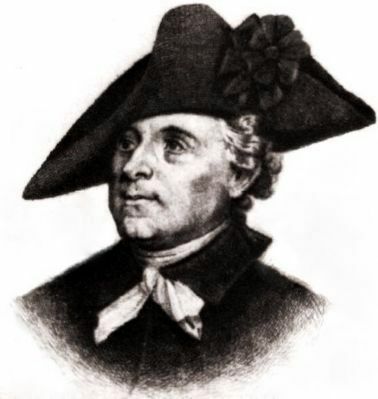 Gen. Isaac Huger, who fought in the Cherokee War of 1760 and during the American Revolution at Stono, Savannah, Siege of Charlestown, Guilford Court House, Hobkirk Hill. 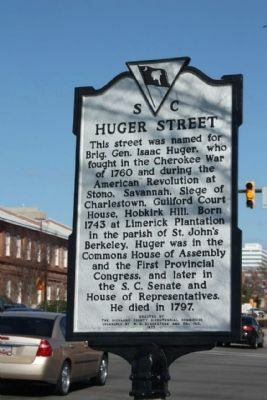 Born 1743 at Limerick Plantation in the parish of St. John's Berkeley, Huger was in the Commons House of Assembly and the First Provincial Congress, and later in the S. C. Senate and House of Representatives. He died in 1797. Location. 33° 59.851′ N, 81° 2.707′ W. Marker is in Columbia, South Carolina, in Richland County. 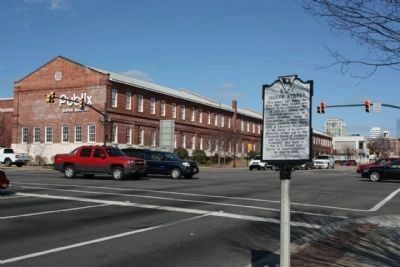 Marker is at the intersection of Gervais Street (U.S. 1/378) and Huger Street (U.S. 321), on the right when traveling east on Gervais Street. Touch for map. Marker is in this post office area: Columbia SC 29201, United States of America. Touch for directions. (about 600 feet away); State Dispensary Warehouse (about 700 feet away); Joseph D. Sapp Memorial Bridge (approx. 0.2 miles away); Columbia Canal (approx. 0.2 miles away); Harnessing Water Power (approx. 0.2 miles away); Gervais Street Bridge (approx. 0.2 miles away). Touch for a list and map of all markers in Columbia. More. 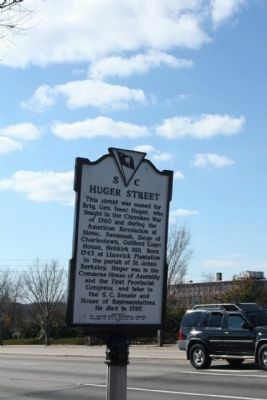 Search the internet for Huger Street. Credits. This page was last revised on June 16, 2016. This page originally submitted on March 28, 2010, by Mike Stroud of Bluffton, South Carolina. This page has been viewed 1,539 times since then and 11 times this year. Photos: 1, 2, 3, 4. submitted on March 29, 2010, by Mike Stroud of Bluffton, South Carolina. • Kevin W. was the editor who published this page.